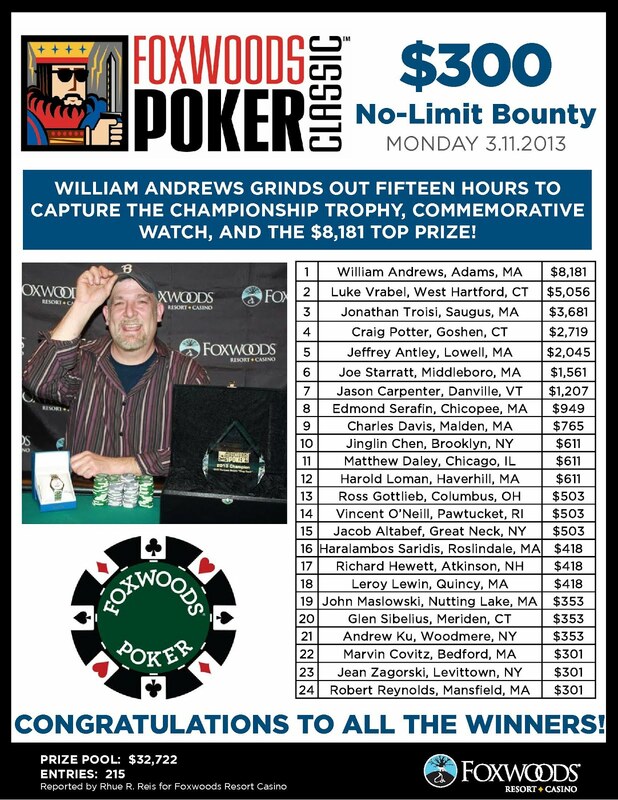 We had a total of 115 entrants in the $1,000 No-Limit Hold 'em event. 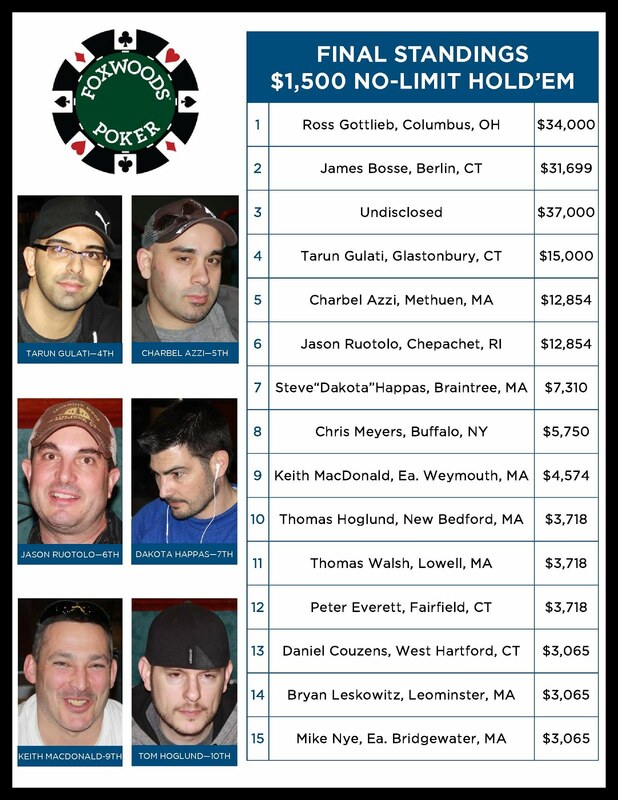 The final 12 players will finish in the money. 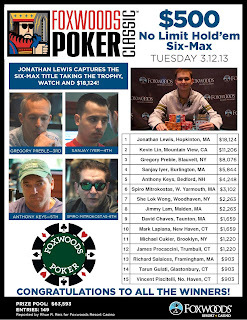 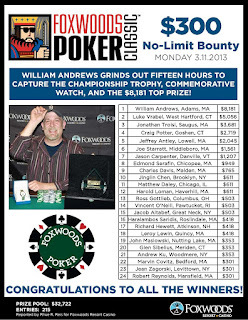 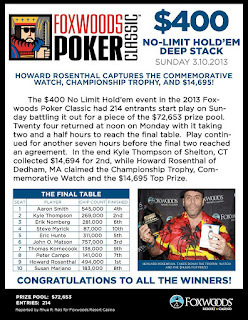 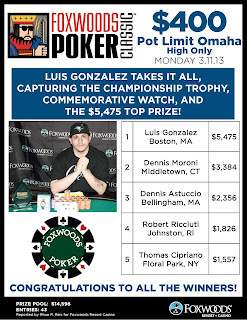 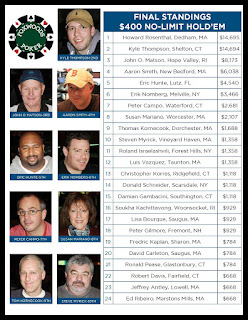 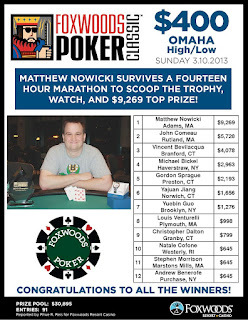 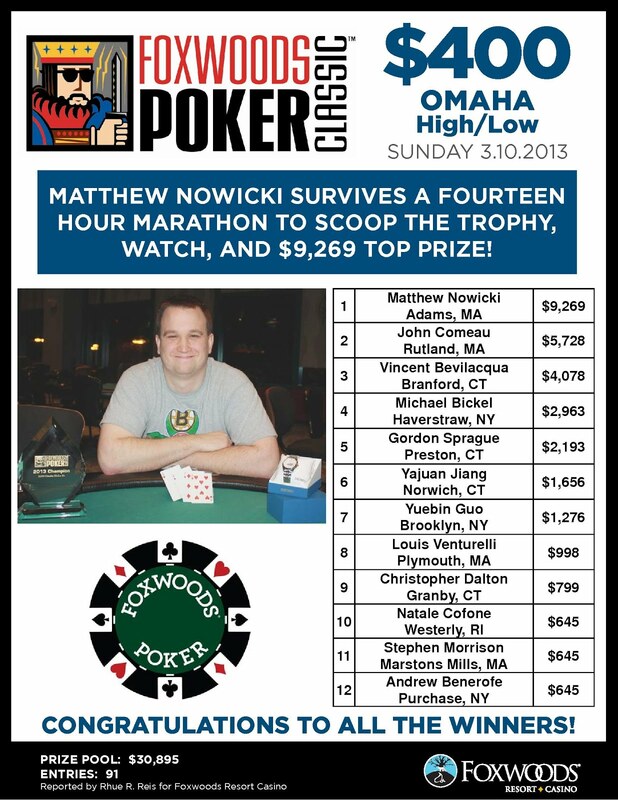 We had a total of 51 entrants in the $400 Limit Hold 'em event at the 2013 Foxwoods Poker Classic. The final six players will finish in the money. The $400 Limit Hold 'em event at the 2013 Foxwoods Poker Classic is now underway. 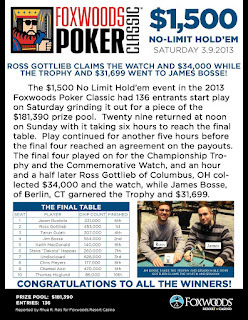 This is scheduled to be a one-day event. 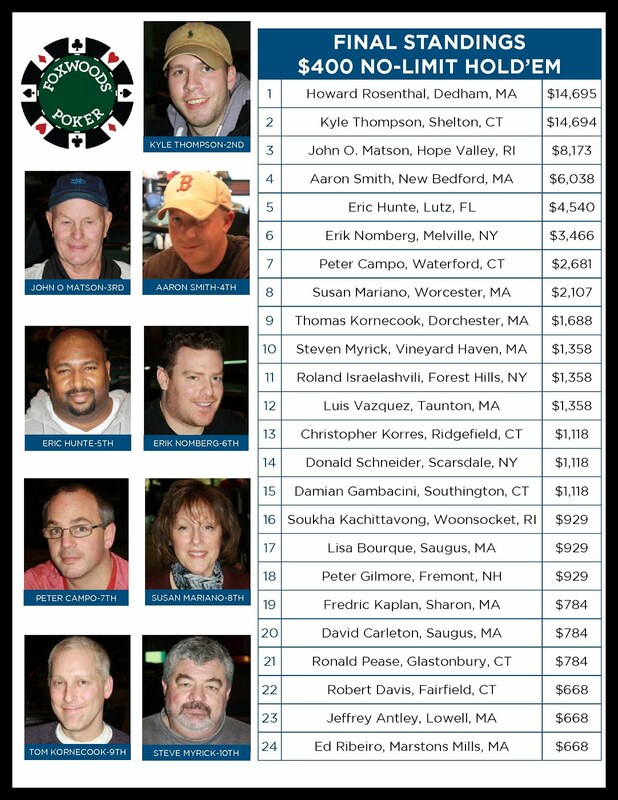 Play is underway in the $1,000 No-Limit Hold 'em event at the 2013 Foxwoods Poker Classic. 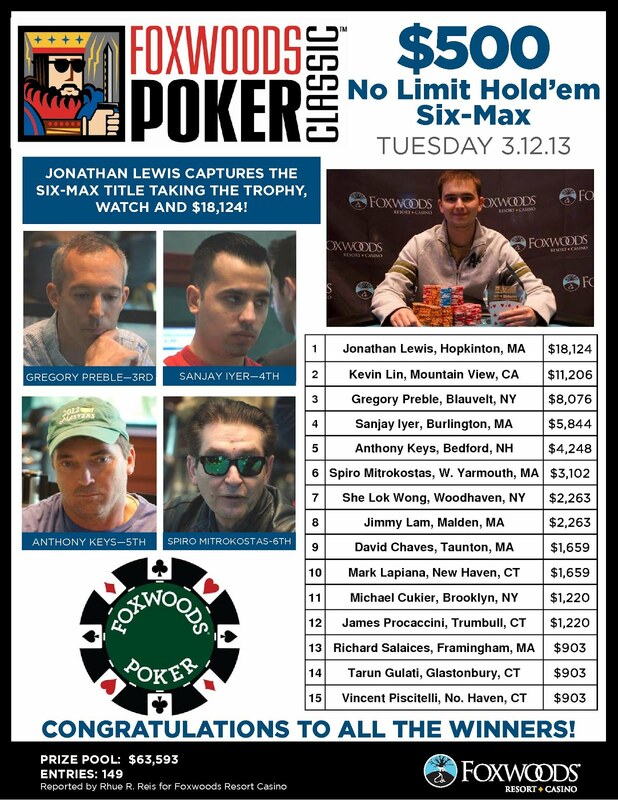 Registration will remain open for the first six levels of play. 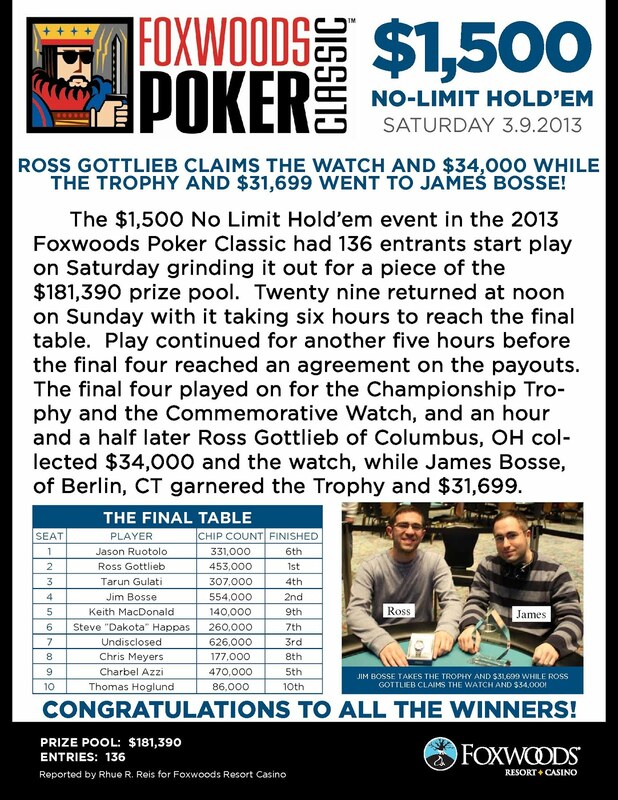 Currently, play is in Level 2 with the blinds at 50-100.